In “Mongdal,” Chae-Yeon plays Ok-Bin, a loving mother and a strict school principal to her son, Dong-Joo, who has anger management issues. Knowing her son’s situation, she tries to understand his moods and gives in to his demands. All is well for the two until her son falls deeply in love with the new girl in school. He is determined to get the girl—even if it is against her will. Up to what extent will Ok-Bin do in order to make her son happy? What is the significance of the bachelor ghost or popularly known as a Mongdal in the story? Lee Chae-Yeon was the episode’s director Lee Sang-Woo’s only choice for the leading role because he saw in her the star quality that set her apart from the other actresses in their initial choices. Watch “Mongdal” on November 10, 10PM on HBO Ch. 54 SD/Ch. 168 HD (For Metro Manila, Cavite, Laguna, Bulacan, Lipa-Batangas) or on Ch. 402 SD/710 HD (For Bacolod, Baguio, Cebu, Davao, Dumaguete, General Santos, Iloilo). SKYdirect subscribers can watch on Ch. 22 HD. It is also available for streaming on HBO GO which is exclusively available to SKY subscribers. To subscribe, call 418-0000 or your local SKY office or visit www.mysky.com.ph. A Member of Parliament (Bront Palarae) of a fishing town seeks the help of a mysterious woman (Nabila Huda) with shaman-like powers in order to save the town from its dire economic situation. After she miraculously fixes the problem, the two fall in love. But the woman hides a deep, dark secret that will threaten to destroy everything as she could unleash the “toyol” upon the world. According to Malay folklore, the “toyol” manifests itself as a newborn baby, only with blood-red eyes and sharp teeth. It is summoned through black magic by its owner and does their bidding no matter how gruesome the wish is. Will the local politician know the real motive of the shaman before it is too late? Watch “Toyol” on November 4, 10PM on HBO Ch. 54 SD/Ch. 168 HD (For Metro Manila, Cavite, Laguna, Bulacan, Lipa-Batangas) or on Ch. 402 SD/710 HD (For Bacolod, Baguio, Cebu, Davao, Dumaguete, General Santos, Iloilo). SKYdirect subscribers can watch on Ch. 22 HD. It is also available for streaming on HBO GO which is exclusively available to SKY subscribers. To subscribe, call 418-0000 or your local SKY office or visit www.mysky.com.ph. At last! After nearly a year of waiting, the final season of Grimm is now streaming on Netflix here in the Philippines! I have faithfully followed this show since it started in 2011, never missing an episode despite work or family obligations. As can be gleaned from the fangirlish tone of various episode recaps I found myself posting here, here and here, it’s safe to say that I have a (hopefully!) mild obsession for this show. I guess that Grimm can be considered one of my guilty pleasures. When its final episode aired on March 31 last year, I was almost heart-broken. I knew I would be missing Nick Burkhardt’s (mis)adventures as well as those of his Wesen and human friends. I was overjoyed to discover that Seasons 1 to 5 are available on Netflix and lost no time binge-watching the series every chance I got. For those who are not familiar with the series, Grimm is a TV show that originally aired on NBC in the US (Universal Channel on SKYcable in the Philippines). It basically consists of modern retellings of the Brothers Grimm fairytales as well as folklore and mythical stories from varied cultures. The show follows the adventures of Portland police detective Nicholas Burkhardt (played by David Giuntoli) just as he finds out that he is among the line of Grimms, a special breed of humans with the ability to detect Wesen, or supernatural beings. Grimms are tasked to maintain the balance between humanity and Wesen, and oftentimes, Grimms have taken brutal measures against the creatures, making them highly feared in the Wesen community. Nick’s role as a Grimm is further complicated by his being a cop; while he is usually able to meld his duties to both roles, there are times when he has to choose which dictates to follow. He is aided by a strong cast of supporting characters such as Monroe (his last name was never revealed, played by Silas Weir Mitchell), his Wieder Blutbad (reformed werewolf) BFF, his cop buddies Hank Griffin (played by Russell Hornsby) and Drew Wu (played by kababayan Reggie Lee) and his love interests/nemeses Juliette Silverton (played by Bitsie Tulloch) and Adalind Schade (played by Claire Coffee). Its setting in Portland, Oregon is also very on-point. Its verdant forests, mild climate and slogan “Keep Portland Weird” provided a lush background for the supernatural situations the characters found themselves dealing with. I love how this show is able to adapt fairytales and myths into modern situations, influenced not just by Germanic folklore (from which most of the Brothers Grimms’ stories are collected from) but also by other cultures such as Latin American (“La Llorona” and “El Cucuy“), Native American (“Wendigo“), Egyptian (“Anubis“), and, of course, the one closest to my heart, Filipino (“Aswang“). 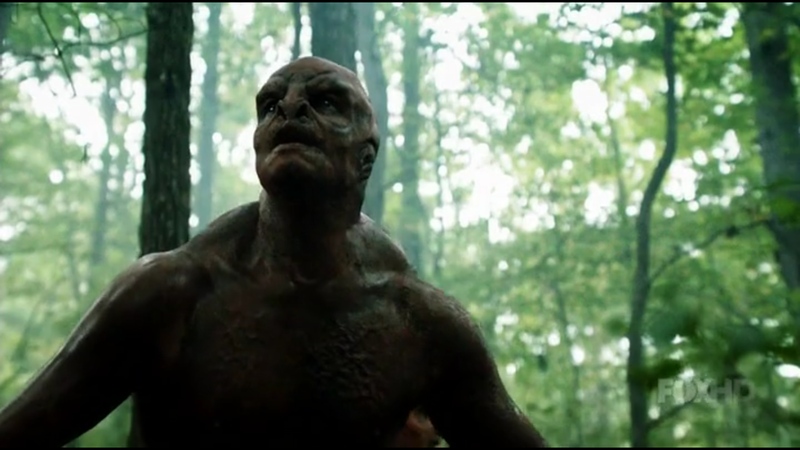 The show had a few faults, such as the wonky special effects involved in showing how the Wesen morph from their human forms to their mythological forms and vice versa, as well as convoluted side plots involving a European Royal Family and a set of keys passed down from the Knights Templar. I also consider Juliette’s journey to the dark side and killing of a pivotal character the show’s “jumping the shark” moment, as it weakened part of the show’s heart. Still, what kept me tuned in were the depictions of Nick’s rich and nuanced relationships with his Wesen and human allies. His “bromance” with Monroe, in particular, grew from a reluctant partnership to a deep and abiding friendship that enabled Nick and Monroe to oftentimes defy the dictates of their natures to help each other. Grimm has been a part of my TV habit for seven years and it left quite a big void: I haven’t found a new series that comes close to its appeal to me. Until then, I will satisfy myself with watching and re-watching this series on Netflix. Grimm not available on Netflix in your area? Click here to watch episodes on Amazon Prime or sign-up for your free 30-day trial.